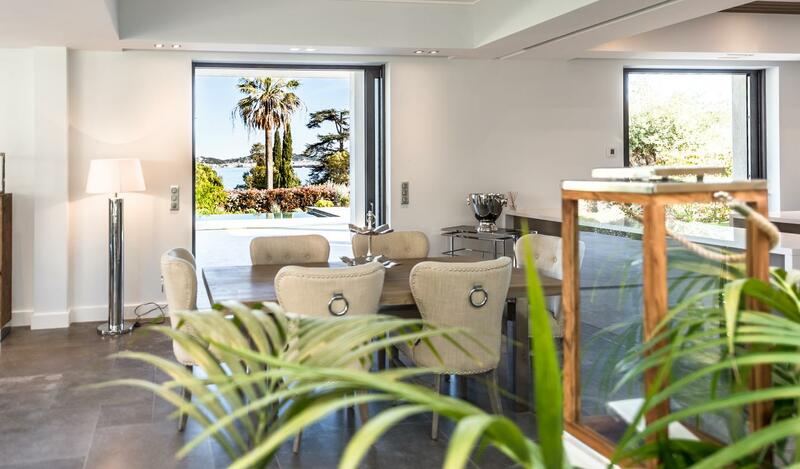 In prestigious domain at the exit of Sainte Maxime, on the Road of Saint Tropez, villa of standing on one level, contemporary, with a beautiful sea view on the Gulf, heated infinity pool. It offers: Entrance hall, large living room 86 m2, winter garden, kitchen, pantry, dining room, 4 bedrooms with bathroom and dressing room including a master suite. Air conditioning, Internet. Double garage. Wide terraces. Patio with fountain. South exposure, Access beaches on foot. 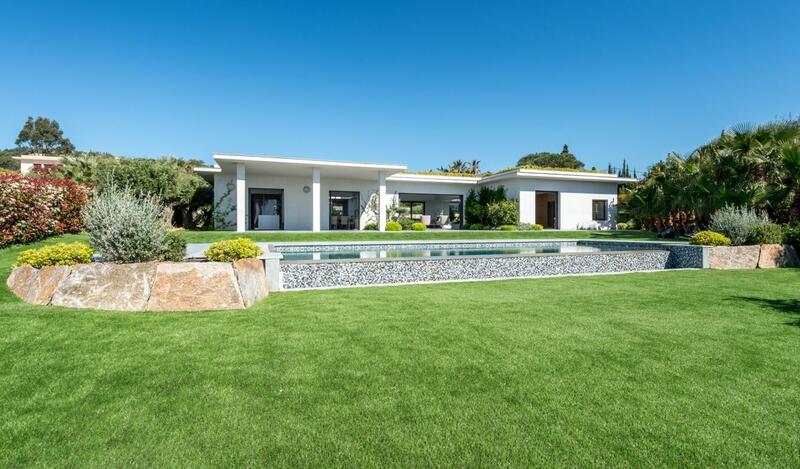 Dream villa for dream holidays ..